Earlier this year, due to mix ups at the post office, I ended up with a whole lot more copies of Hucast Games than I had ordered. So I spoke to our editor in chief, Chris, and, together, we decided to share the extra copies with the community. Each time I was to do a write up on the game it was coupled with a contest. I kicked things off by writing an extended hands on for the original Dux 1.0, and simultaneously announced a contest. 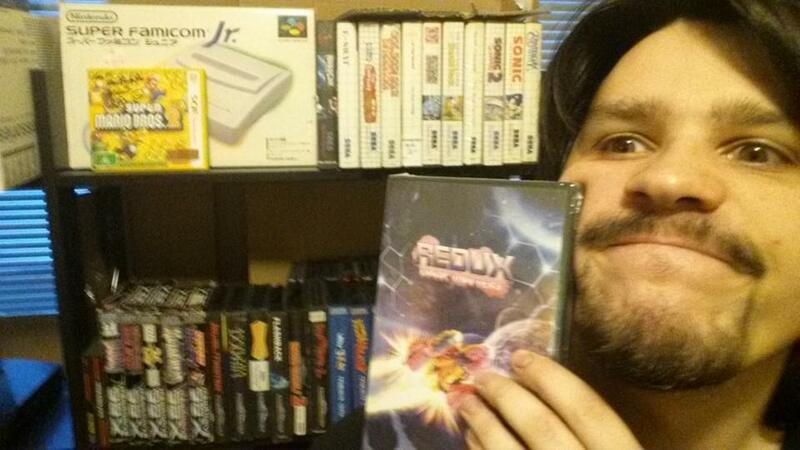 At the time, I found Dux to be unplayable due to the difficulty and concluded that I could not review it. However, I did eventually beat and review the game. Falco Girgis lead developer of Elysian Shadows won our original contest. 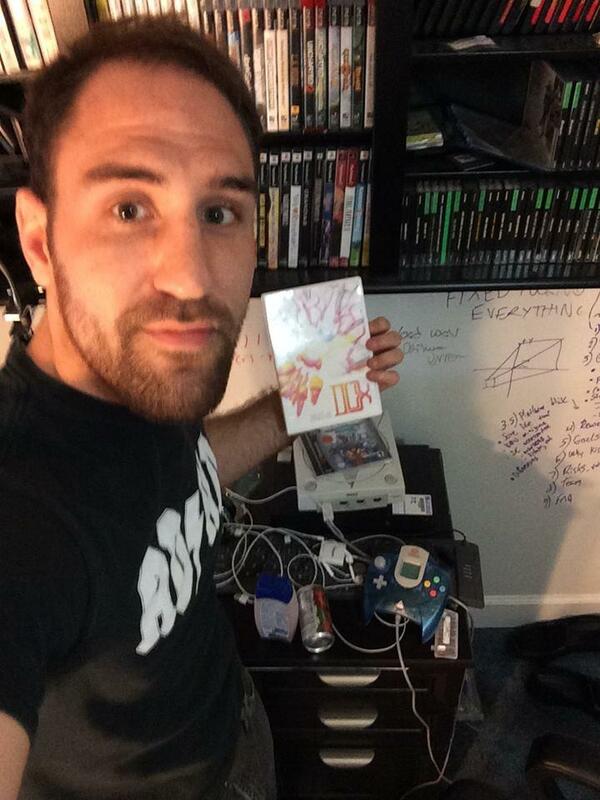 The contest was held exclusively on Twitter and was won by fellow indie developer Falco Girgis. 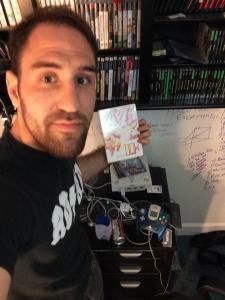 Next, I reviewed the director’s cut Dux 1.5 and simultaneously announced a contest, only this time the contest was held on Facebook. The contest was won by our very own video director Andrew Pine. Both editions come bundled with a copy of Dux 1.5, so this one will be a a real treat! This time around the contest will also be taking place on both Twitter and Facebook. So you can double your chances to win by participating in both! Ladies and Gents, our very own video director Andrew Pine! 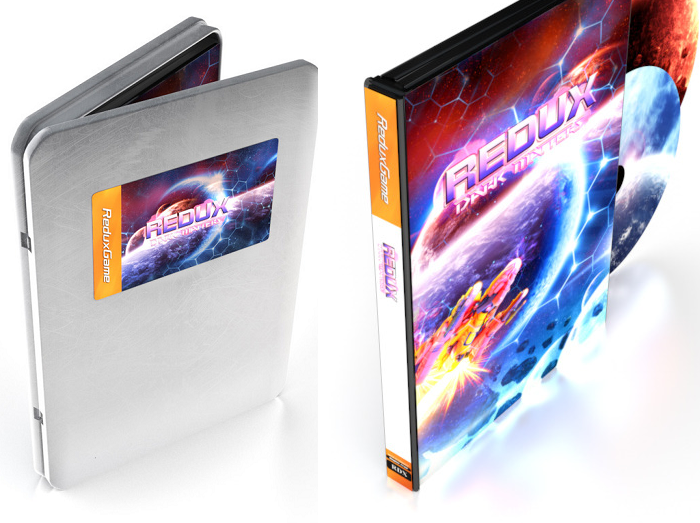 Contestants who wish to win a limited edition copy of Redux will have to tweet a unique German Dreamcast factoid. Use your imagination and be creative. Germany has been in the homebrew scene since the Dreamcast was first released in fall of 1999 and the commercial indie scene has been around since 2006. Share some fun facts with the #Hucast, #SNContest and #Dreamcast. Make sure to direct it to @SegaNerds and @HucastGames. The winner will be announced during a SEGA Nerdcast episode on Nov. 16. As always, we encourage all contestants to publicly Tweet a selfie with their prize. Contestants who wish to win the limited steel case edition will have to share this news post on their timeline with an interesting indie Dreamcast factoid, along with the #Hucast, #SNContest, and #Dreamcast. The winner will be announced on our Nov. 21 Nerdcast. This may very well be your final chance to win this game for free! If you are unfamiliar with Redux, you can see the attached video for my hands on impression (featured video). For more information check out the game page on DCS. Lastly, I should be able to have a full review up for Redux: Dark Matters next week.